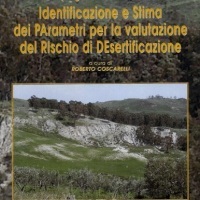 The Calabria region, because of its climatic, geomorphological and anthropic characteristics, is one of the regions most exposed to the risk of desertification in the Mediterranean basin. Methods already known in the literature and new approaches were applied at a basin scale on an area of the Ionian side, that, for rainfall and climatic characteristics, is one of the most exposed to this phenomenon. 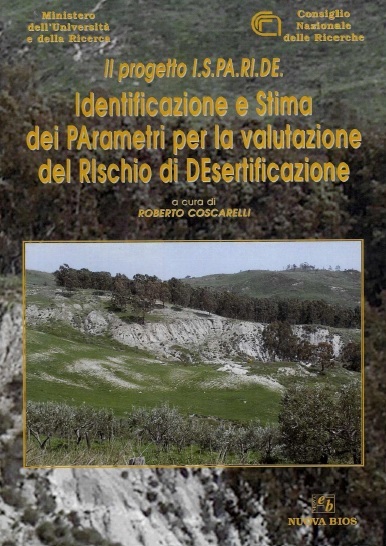 The main goals of the “I.S.PA.RI.DE.” project were the identification and characterization of the indicators able to analyse the complex phenomenon of desertification. The same indicators, by means of new approaches and methods already known in the literature, were applied in an area of the province of Crotone. Climate trends and dynamics of land use, that occurred in the second half of the twentieth century, were also evaluated for the study area. The results were validated with a campaign of laboratory investigations of soil samples. The phenomenon was also assessed by means indicators detectable by satellite data. The applied methods were: the ESAI index, already known in the literature, which takes into account both environmental and anthropic factors and the approach, proposed in the project, that takes into account only the physical-environmental factors (index ESAPI). Moreover, during the project, it has been introduced and applied a new method based on the factorial analysis. The results obtained in the project allowed to identify in the study area the main trends of soil degradation processes in the time span considered and to evaluate the influence of anthropogenic processes, including the variations of soil use and the land management. Coscarelli R., Minervino I., Sorriso-Valvo M. (2009). L’Influenza dei fattori antropici nei fenomeni di degrado del suolo. Un caso di studio nel crotonese. In: “La crisi dei sistemi idrici: approvvigionamento agro-industriale e civile”. Atti dei Convegni dei Lincei, 248. Bardi Editore, Roma. The “I.S.PA.RI.DE.” project should be considered a starting point because the different treated issues, belonging or linking to the complex phenomenon of desertification, deserve all insights needed for achieving an exhaustive degree of knowledge. Moreover, the phenomenon is particularly important for the vast consequences on environment and the productive world.